Map updated October 25, 2013. 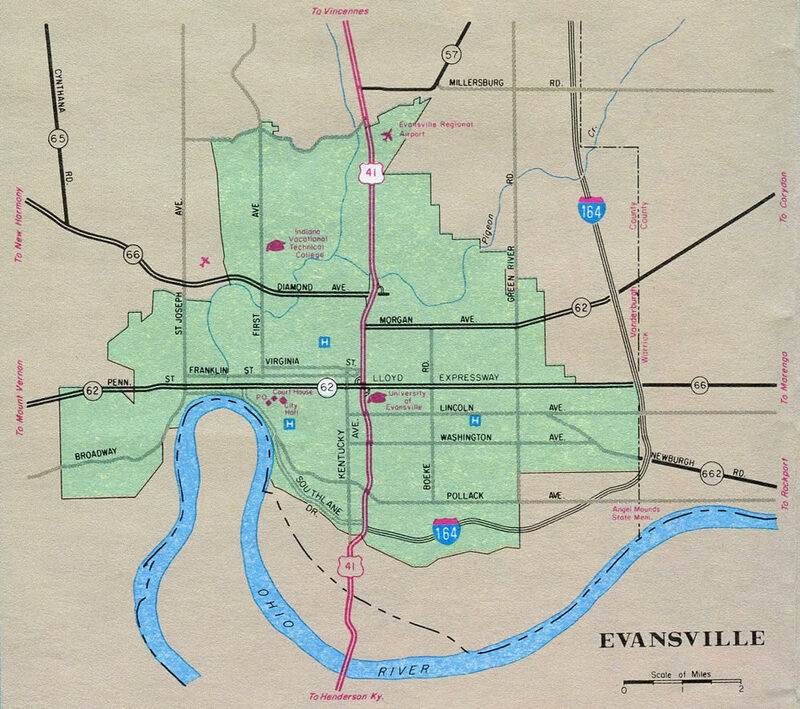 Interstate 164 was the original designation for the 20-mile freeway spur from Interstate 64 south to the city of Evansville on the Ohio River. The interstate began at U.S. 41 just north of the Ohio River and ran along the south and east sides of the city before turning north to Interstate 64. The route was absorbed into a southern extension of Interstate 69, which was approved by AASHTO on October 21, 2013. 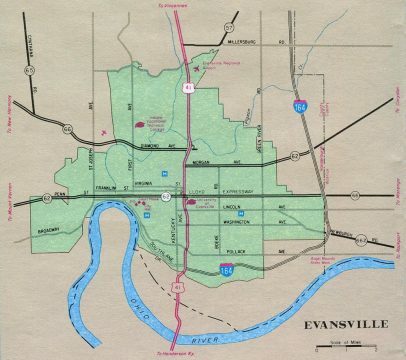 Evansville inset showing Interstate 164 - 1989 Indiana Official Highway Map. "Recalculating: I-164 to become I-69." WFIE (Evansville, IN), November 15, 2013.